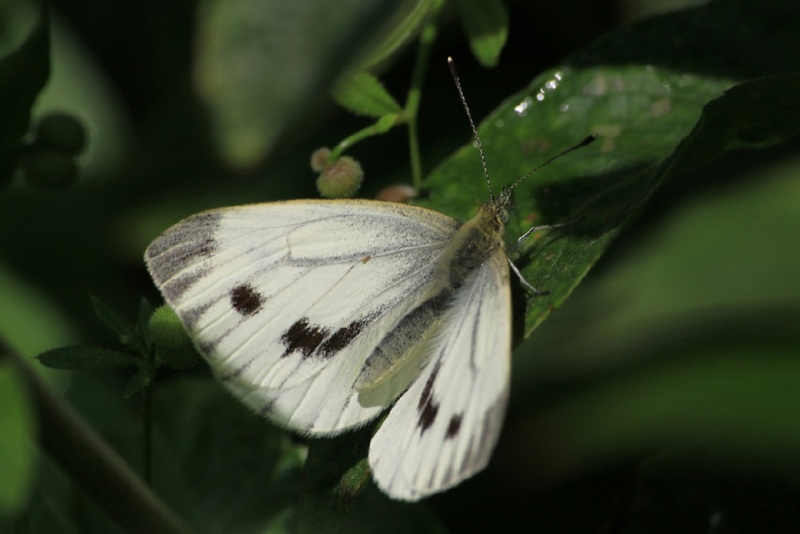 It is often mistaken for its cousin, the Small White. 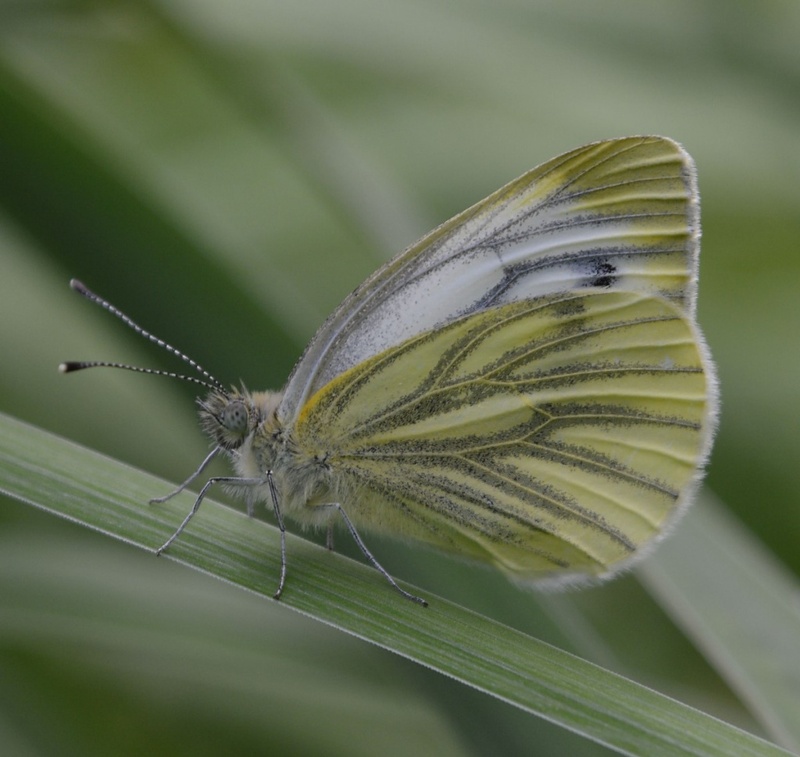 The so-called green veins on the underside of the adults are, in fact, an illusion created by a subtle combination of yellow and black scales. 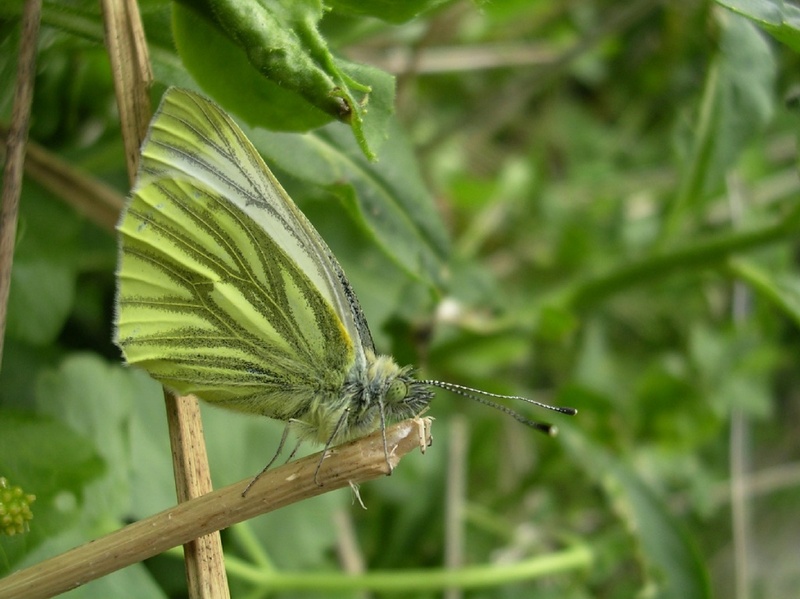 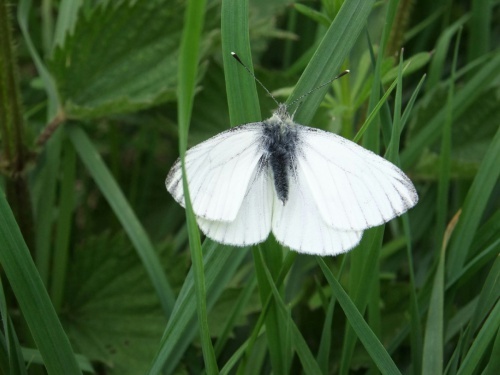 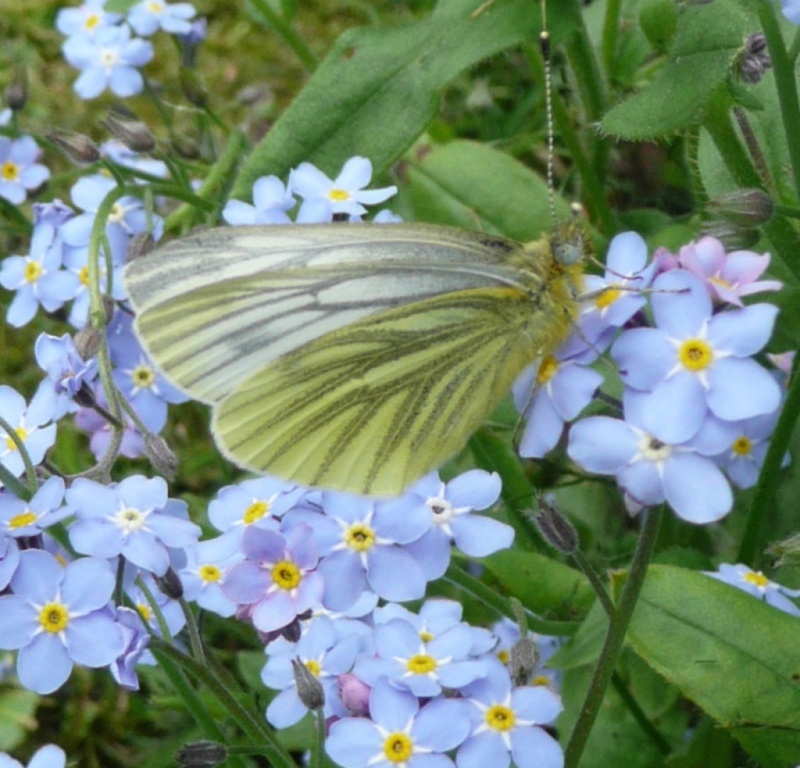 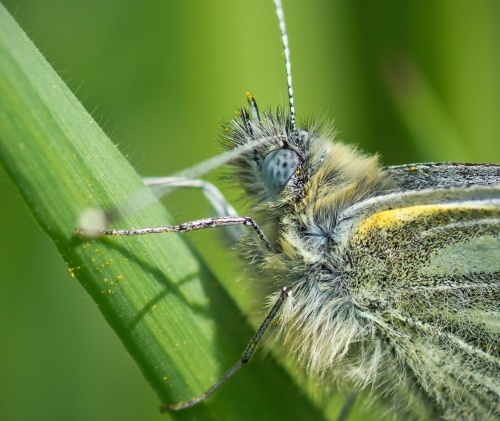 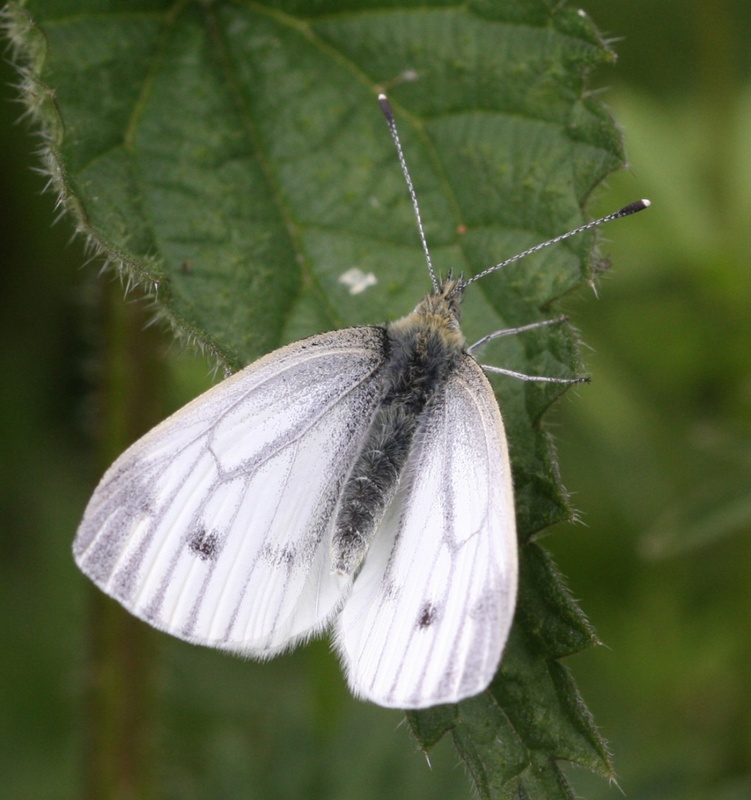 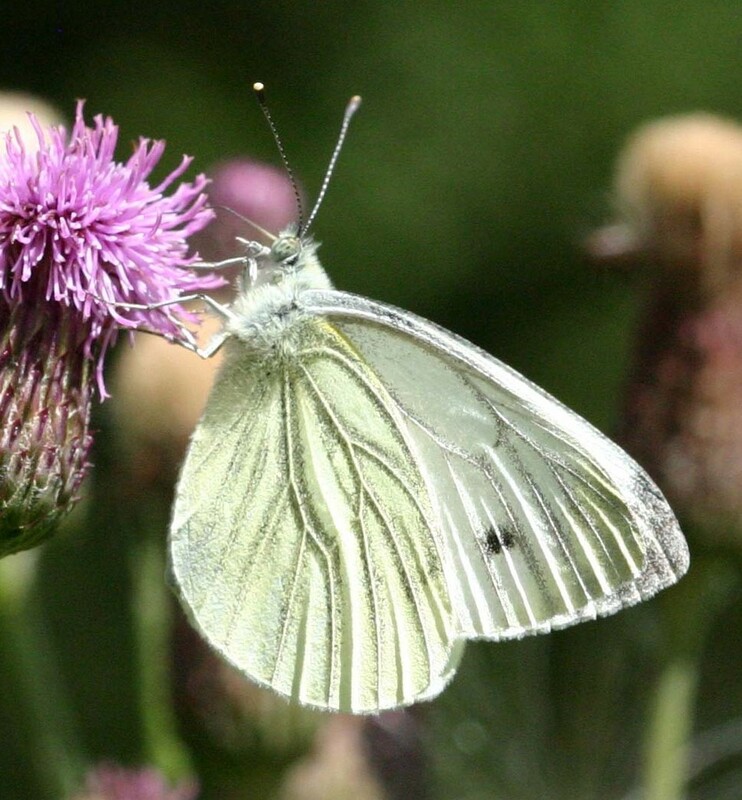 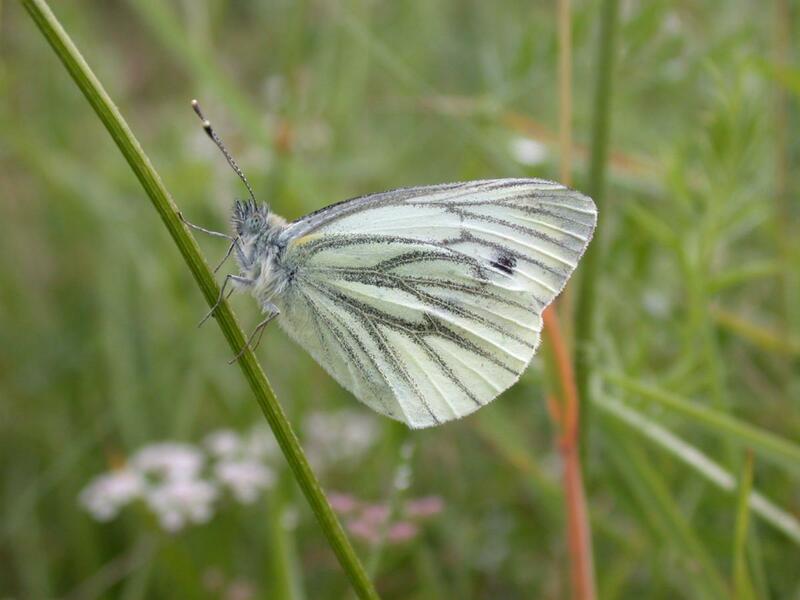 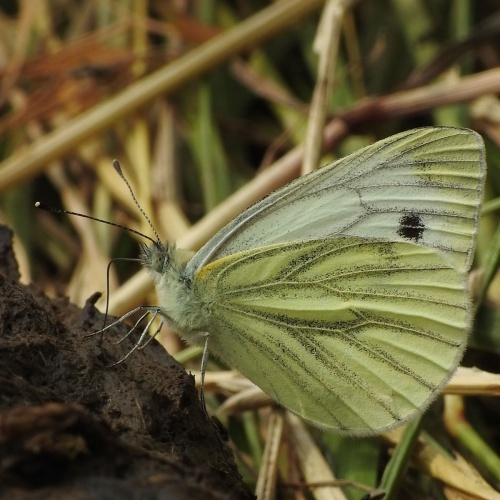 The Green-veined White is a similar size to the Small White and whilst the green-yellow veining of the underwing is a clear diagnostic feature, the upper wings are very similar. 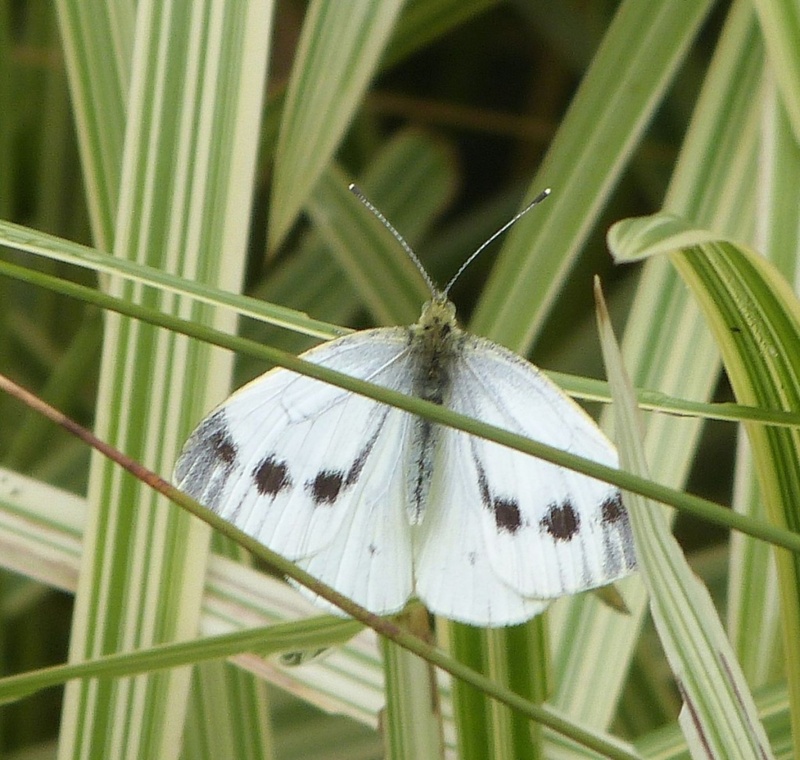 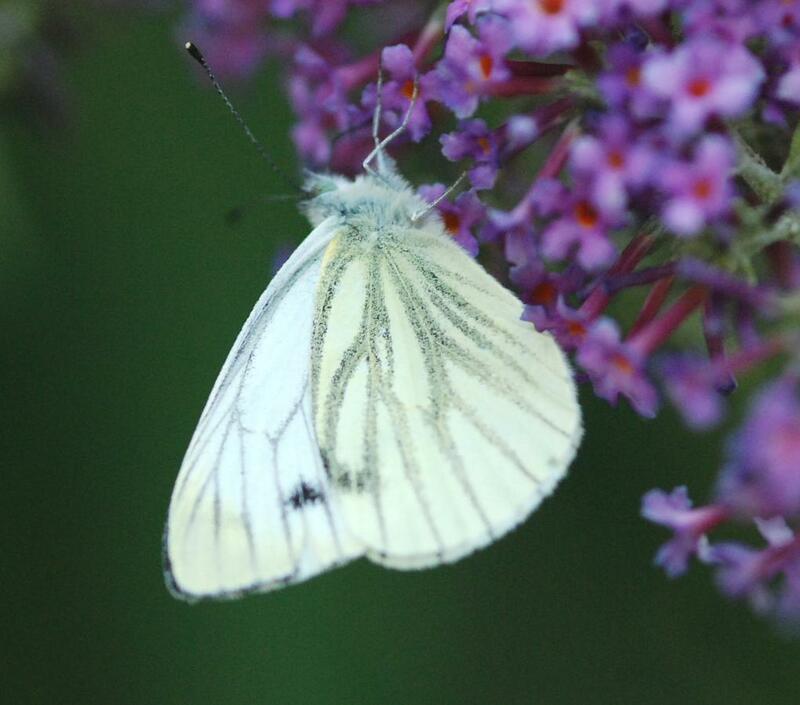 However the black tip in the Green-veined White is usually less 'solid' and extends in blotches along the wing edge. 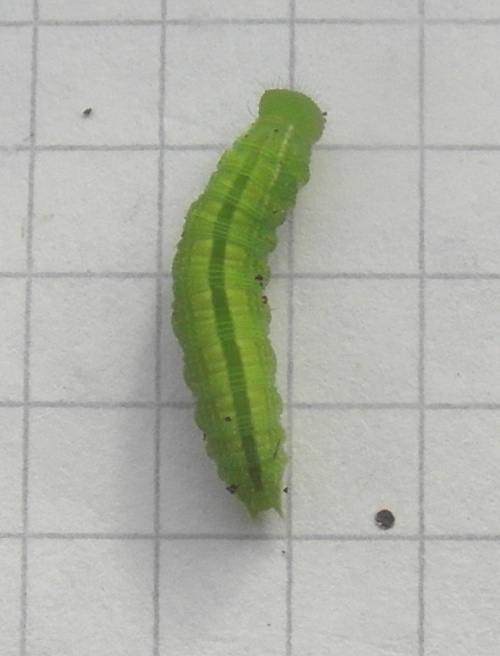 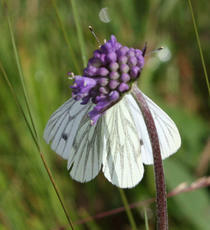 This is a common butterfly of damp grassland and woodland rides but it also turns up in gardens. 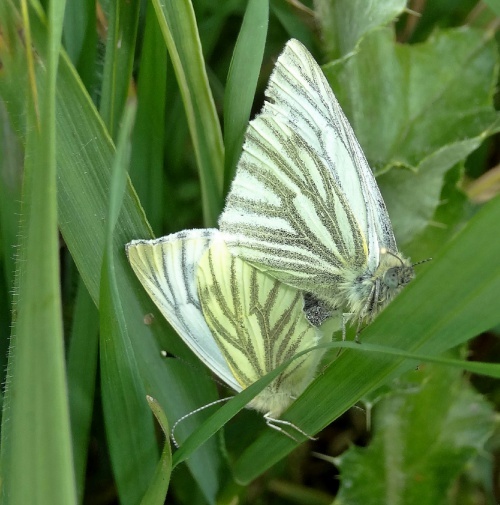 First-brood adults typically emerge in late April, peaking around the middle of May and gradually tailing off through June. 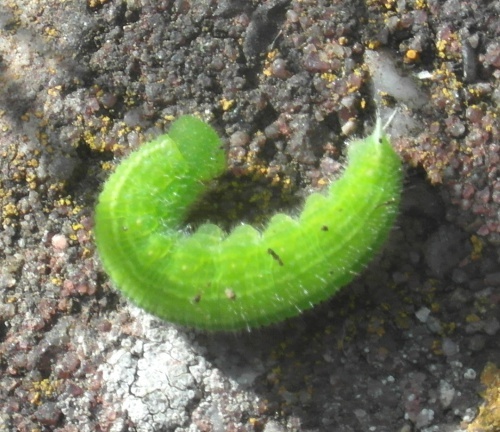 The second brood, which is always stronger than the first brood, starts to emerge in early July. However, in good years, the second brood may emerge in late June and give rise to a third brood. The main larval foodplants are Charlock (Sinapis arvensis), Cuckooflower (Cardamine pratensis), Garlic Mustard (Alliaria petiolata), Hedge Mustard (Sisymbrium officinale), Large Bitter-cress (Cardamine amara), Water-cress (Rorippa nasturtium-aquaticum) and other cruciferous plants. 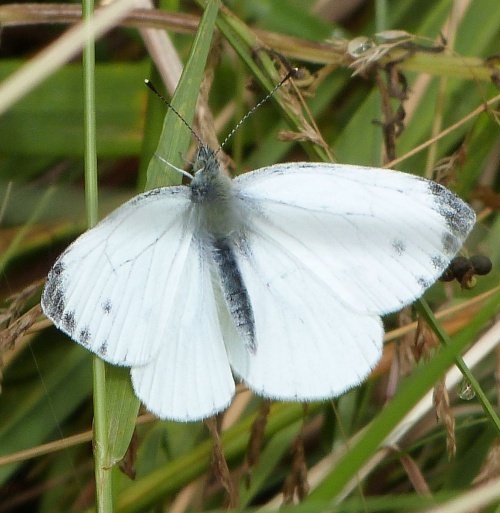 This is one of the most widespread species found in the British Isles and can be found almost everywhere.